As sportsmen, we nearly always have our eyes glued into our binoculars while in the field, either scouting or actually on the hunt. 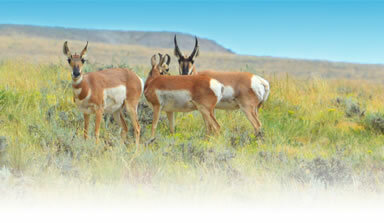 Here in the West, wide open spaces and looking for game over expansive distances is a very normal thing. As an optics company we get requests for binoculars all the time. So this year, we took up the challenge of developing a set of high quality, light weight binoculars offered in10x42 and 8x42. Both with a super high resolution ED lens performance. 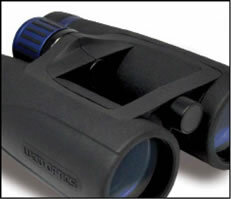 Designed with a light weight frame and exceptional glass, The B-10 and B-8 Binoculars out perfom the competition at half the price. 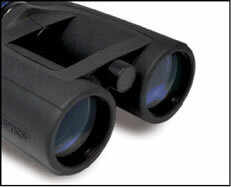 Weighing in at a slender 24oz, designed with an aluminum reinforced glass filled polymer open frame, utilizing high definition ED Fluoride lenses, these binoculars truly have nothing in their price point that is a fair comparison. We also made sure that they were waterproof and fog proof just for extra peace of mind. The field of view is generous to say the least and the resolution produced has the clearest color accurate image possible. After all, when you are looking at your quarry from across a canyon, you need to be able to see well enough so you can make the decision to traverse the canyon or not. We also added creature comforts. These are things like twist-up ergonomic eye cups, a nice neoprene cover and padded neck strap. To top it all off we added a rugged waterproof hard sided carrying case just to keep everything safe. 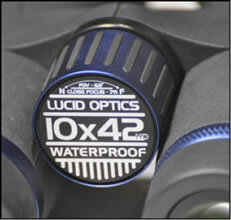 As with all things Lucid Optics, we back them with our lifetime warranty so you have no worries on your end.